Have you heard this startup narrative? Come up with an idea, build it, launch to an audience that accepts you wholeheartedly, and watch the money roll in. While that may happen to a select few, it’s a bit different for us mere mortals. Before your product is ready for prime time, it needs to be tested by a pool of users who represent your target market. These beta testers will let you know if you’re on the right track and help you spot bugs and useful features. You learn more about your customers, your developers get a clear roadmap, and customers get to use an awesome product. It used to be easy to get people to sign up for your app. Now – not so much. Markets are saturated. In this post, I’ll share how we got our first four hundred beta testers which helped us learn invaluable lessons. We didn’t start blogging from day one because we wanted a beautiful blog that would appeal to our visitors. Because of that, we spent an inordinate amount of time designing and developing a custom WordPress theme. It turned out alright, but we lost months going back and forth on design decisions and squashing bugs that came up. It was worth it but we should’ve started blogging from the beginning even while the theme was being designed. We would’ve been further along in terms of organic traffic and social footprint. You win some and lose some – right? From that point on, we focused on creating in-depth posts that helped the people we would one day call our customers. We focused on topics like this one about lead magnets, this one about headline formulas, and this one about website optimization. Since it was a new domain and we didn’t have any backlinks, audience, or social footprint, I used my own mailing list and social accounts to promote our posts. From there, we derived our first trickle of traffic and aggressively promoted our mailing list. A few people would click through to our homepage and sign up to be notified of our beta launch. Once the mailing list started to grow, we were able to promote posts directly to them. It was a self-reinforcing cycle that paid off. About 25% (100) of our beta users came from people who interacted with our blog content. While we were creating content for our blog, we also focused on getting the word out there through guest blog posts. We found opportunities in three ways. We followed influencers in our niche. 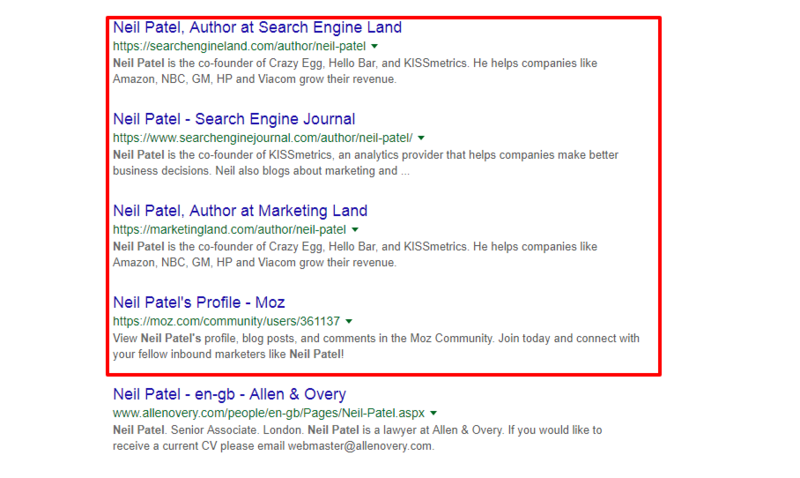 For example, we’d just type in Neil Patel or Pat Flynn and see what Google brought back. The first few results will be their own websites and social media accounts. If you keep going, you’ll start seeing where they appeared on other websites. This showed us opportunities we would’ve otherwise missed. We added every promising website to a spreadsheet and kept researching. If you’re not familiar with Ahrefs, it’s an SEO and competitive analysis tool. We’d type in the URL of websites that were in a similar space but weren’t competing with us directly. This gave us a bunch of websites that were linking around in our niche and had a similar audience demographic. We did this with about ten websites and added them to our spreadsheet. Up until this point, we were looking at guest post opportunities that weren’t obvious. Most of them weren’t actively looking for guest post authors. After we exhausted that route, we went the obvious path and typed in variations of “list of guest blogging websites niche” in Google. That brought back quite a few opportunities and filled out our spreadsheet. My name is (your name) from (your company/website). I was on your website reading (name of article) and like how (point or perspective you liked). I’m reaching out to see if you’d be interested in a few guest post ideas I think your audience would find valuable. I’m looking forward to hearing back from you. This lets the editor/owner of the website know you’ve taken time to read their content so are familiar with their style. It also gives them a few ideas to choose from if they don’t like the first one. You also show them where you’ve written before so they can see if they like your writing. I was surprised because some of these websites would message us back and tell us we’d have to pay for the guest post slot. I’ve never paid for a guest post and I don’t plan on starting. A few of them were cool and we landed guest post slots like this one on sales funnels. Looking back, we should’ve spent more time on guest posting but there’s always the future right? Roughly fifty users signed up for our beta test through guest blogging. I’ve been active on Quora for a few years and have over five million views on the platform. I actually hang out there and have a lot of fun doing it so answering questions and linking back to KyLeads was a no-brainer. Choose questions with a good follower to answer ratio (make sure they have at least 20 followers). Create longer answers (300-1000) words and share it on your social profiles. Rinse and repeat. You can read a more in-depth guide to using Quora here. I wrote on Quora almost every day for a few weeks and drove thousands of visitors back to KyLeads. A lot of them signed up for our mailing list. When the dust settled, we had roughly 100 beta testers from this route. Indie Hackers is an interesting community full of makers. It’s unique because you’re encouraged to share links to projects you’re working on. If you post about your product on Reddit you’ll be downvoted into oblivion. On Indie Hackers, if you don’t share your product people will ask you to. Over the course of the last year, I’ve been an active member. At first, I just wanted to share my experiences and learn from people who were building similar (and not so similar products). Over time, I got a few followers, hundreds of upvotes, and connected with interesting people. People would go to my profile and click through to my websites. Apart from a product page on Indie Hackers, this the only place I mention KyLeads unless someone asks me a direct relevant question. We get a few visitors every week from the forum. They’re quick to share feedback and let you know if there are any bugs or strange design issues. We only got a few beta testers (about 20) from here but they’re super engaged one so it was definitely a win. 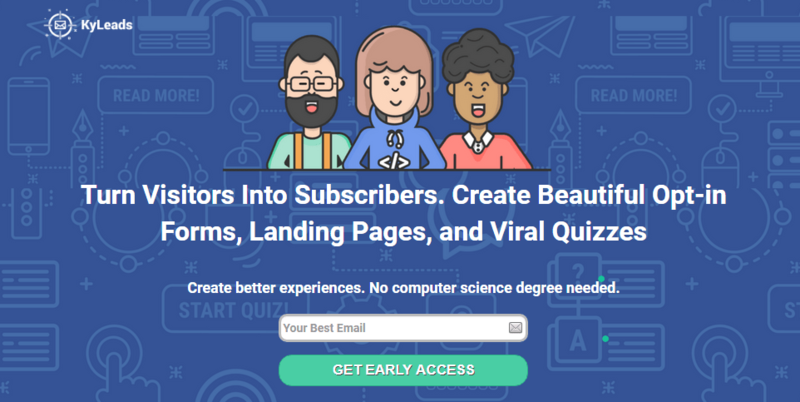 Betabound is a curation website that connects interested beta testers with the people who need them. There’s not much difference between them and BetaList except there’s no paid option on betabound. The website is created and maintained by Centercode – a company that provides different types of testing for high growth startups (read funded) and enterprise companies. We submitted to betabound and got a reply in a few days and were on the homepage within a week. Our performance on the website left a lot to be desired. It may be because their audience found no interest in our product. In the end, we got 34 referral visits from betabound and a few turned into beta testers for KyLeads. There are tons of SaaS directories like G2 Crowd, SaasGenius, Capterra, GetApp and tons of other ones. We weren’t keen on using the platforms because we had no budget to sign up for their PPC campaigns and no built-in reputation/reviews. In the end, we added KyLeads to a few of the most popular ones like G2 Crowd and SaaSGenius. All of their approval processes are straightforward but that’s not what matters. Once we were live on their websites, my team expected the traffic to start rolling in. I wasn’t convinced because I have a clear idea of how these platforms work. We didn’t put in much work so I didn’t expect to get much in the way of benefits. I almost missed the referral traffic. The ones that came didn’t sign up. We got a grand total of one beta user from this route. We were inspired to repurpose content on SlideShare after reading about the strategies drift used to get early traction and build an audience for their blog. I’ve personally had some success with SlideShare and have been featured in their daily/weekly roundups so I was open to giving it a try. We created two presentations which took way longer than they should have. We made one for my personal SlideShare account and another for a brand new account we set up for KyLeads. The one on my personal account got just over 200 views. The one on our company account got 100 views. Together, they sent fifty people back to KyLeads. Frankly, I was shocked it sent us that much referral traffic. Anyways, of those fifty people, ten decided to sign up to be beta testers and pad out our numbers. Again, I was shocked at the level of engagement we were getting from SlideShare. This is something we plan on revisiting in the future when we can dedicate enough energy to the design of the content. I’ve written about our experiences with our giveaway in great detail here. There were tons of impressions but our conversion rates were poor. We capture just over one hundred and fifty email subscribers. This was the most responsive group of people we ran into. I think it had something to do with the sheer value we gave away as well as the discounts we created for them with our partners. We didn’t ask so we’ll never know. What we noticed during our beta was the people who joined through the giveaway needed extra support than people we encountered through other channels. They were also vocal and gave us invaluable feedback about where and how we could improve the user experience. I’ve been aware of Haro for years but never used it to its full potential. It’s not until I listened to an episode of The Side Hustle Nation with Pete Walter that I decided to revisit it. I sent the episode to everyone and told them to sign up for Haro. Every single night, I’d sit down and scroll through the thrice daily emails. I’d find at least one request I could answer every day. To make sure everyone was following up, I’d ping them in the morning to send me requests and their response so I could help them out if it needed polishing. We got quite a few placements through this route. Though the direct referral traffic wasn’t much to talk about, it had a positive effect on our search traffic which started to increase during this period. It’s not easy to analyze the traffic from these sources because not all them told us when our content went live (or if they accepted the pitch). We had to monitor Ahrefs and our analytics to spot them. By hacking the data together, we found out 50+ people signed up for our beta from the referral traffic generated by Haro. If you’ve read this far, I don’t need to tell you how important beta testers are to your eventual success. I’ve outlined the major strategies we used to get four hundred beta users. Total – 395 (Don’t shoot me, I rounded up). We tested a lot of channels and not all of them were successful. Use this article as a starting point in your efforts to craft a beta test that will help you maximize your learnings. Some of what we used may work and some may not. If you find a winner then double down. What works during your beta will work when you launch. It’s important to note that beta testers don’t automatically equal engaged users or success. Of the four hundred people that signed up, more than half dropped off throughout the process. The remaining people weren’t as engaged as we would’ve liked. Only a handful love what we’re doing as much as we do. It’s the nature of building a product. Let us know your stories about how you got your beta testers in the comments and don’t forget to share. Great post – thanks for sharing. Finding beta testers is something I’m actually trying to address – in particular for the solo founders, small teams, indie makers/hackers as I feel it’s an underserved area. I’m currently building BetaTesta.xyz – aiming at pairing makers with testers. I have been acquiring a list of makers for the last 6 months whilst I build the testing platform. Im create a concierge MV at the moment – if you need access or would like help with finding beta testers let me know! Thanks for reading and the offer. We’ve actually moved beyond the beta testing stage but I’m sure many people will find value with that app. This is a super helpful post Daniel, thanks so much for compiling these tips! Thanks for reading. It was interesting going through the process.